The Glasgow-based company will work alongside lead partner SP Energy Networks, traffic software provider PTV Group and consultancy and technology firm EA Technology on the £8.5 million “Charge” Network Innovation Competition (NIC) project. The project will test EV technology and procedures in Liverpool, North Wales and parts of Cheshire and Shropshire that could then be rolled out across Great Britain. SGS will develop solutions to two of the biggest challenges facing the roll-out of electric vehicles; how to charge cars at homes without their own driveways, such as flats, apartments and terraced streets; and how to charge vehicles at public locations, including shopping centres, events venues and tourist attractions, as well as filling stations and motorway services. The company will investigate several smart charging solutions including staggered charging on a street-by-street basis, timed charging schedules and controlling charging rate based on network measurements. These smart solutions will enable easier and cheaper connection of high numbers of EV chargers to the electricity networks. SGS’s software will be used to manage the charging of the vast increase in electric vehicles, which are expected to be the dominant form of transport by 2050, if not well before. The UK Government’s plan to phase out conventional petrol and diesel vehicles by 2040 is accelerating the search for solutions that will allow the grid to meet the extra demand for charging cars, vans and lorries. Laura Kane, SGS project lead, said “Winning this contract under Ofgem’s Network Innovation Competition is a significant achievement for SGS because it recognises how useful our software will be in tackling the challenges that lie ahead for the grid from the revolution in electric transportation. Scott Mathieson, Director of Network Planning & Regulation at SPEN, said: “Working with innovative companies like Smarter Grid Solutions is essential if we’re going to respond to the challenges of connecting electric vehicles to the grid. “Charge is an exciting project that will test many potential solutions in Liverpool, North Wales and the surrounding areas. 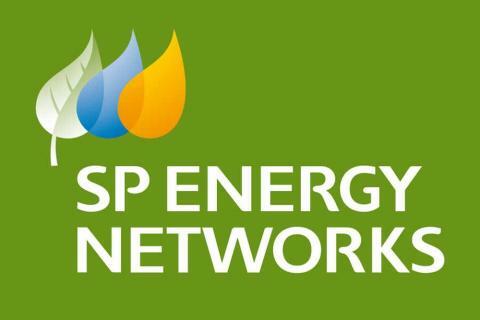 “Once we know which combination of technology and commercial solutions and procedures works best then SP Energy Networks will be able to help other network operators to roll them out across the whole country. 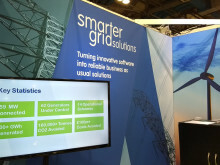 Smarter Grid Solutions is a world-leading technology company formed in 2008 as a spin-out from the University of Strathclyde. Over nine years Smarter Grid Solutions has grown to a worldwide company with offices in Glasgow, London and New York and has enabled the grid connection and active management of over 250 MW of renewable generation.